So they released me from hospital last Wednesday morning along with a pair of crutches, goody bag of pain killers, physiotherapy notes and a DIY 'self injection kit' for injecting your stomach once a day. I soon found out, it's a slightly different technique from using a set of West or SP Syringes to inject epoxy into a wood or GRP void! Since being discharged I have read more in the last few days than in the last fifty years, likewise have watched more rugby. Saturday all on BBC, apart from the England matches (Jenny obviously thought I wasn't worth a short subscription to watch those on Sky), life wasn't too bad. However, by mid Sunday morning, boy did I end up depressed. I had managed to get a few hours of sleep but after shuffling along to the loo at 4am (10 min round trip) then back, hoisting myself back into bed, shuffle into position, stick pillow between legs and then attempt to pull bedding over, could I get back to sleep? So it's was switch on radio 5 and listen to the cricket. England out for 195 and our bowlers making no impression on the Aussies, Jenny then came through with a cup of tea at 6:30 before leaving to walk the dog and said "house seems a little colder than normal, looks like the heating hasn't come on." Off she trotted, with yours truly hoping that it was a just the weekend timing and nothing else. (Incidentally the boiler is due it's annual service this coming week.) However, it was not to be. On inspection by Jen it was the closed circuit circulating water pressure. Simple to solve, just twiddle the two knobs under the boiler, watch the needle(s) rise and then when both in the green sector twiddle opposite way again. However with Jenny still suffering from the effects of a broken wrist earlier this year she didn't have the strength. It's normally five or less minutes to do and usually happens if we haven't been using the system for some weeks. The boiler is mounted in a, by modern standards, narrow garage and for me to get to it whilst on crutches the car would have to moved and guess what, because I am not going to be able to shoehorn myself into the Caterham for the next few months, apart from it now being on SORN I have disconnected the battery and brought that inside. I didn't have the guts to ring boss man Andy B up at 6:45 on a Sunday morning even though he had said on more than one occasion, "Need any help just give me a shout and your wish will be my command!". 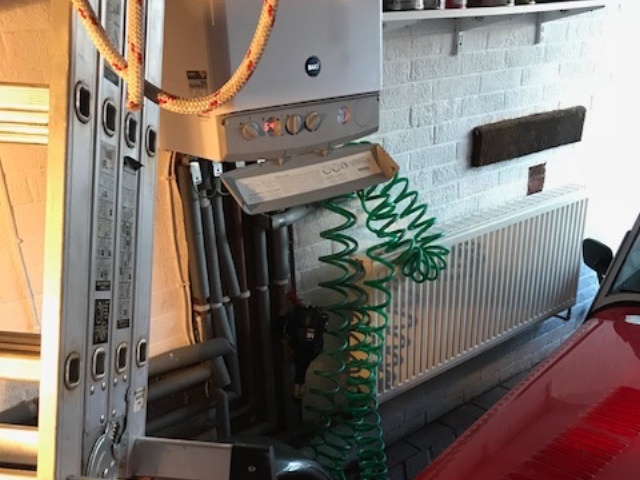 Dressing gown on, down into the garage and yes there is no way I could get to the boiler. Tow the car out backward with Jenny's proper car? No way to get me or expect Jen to grovel on the ground with 125mm ground clearance and secure a tow rope round the back axle. Lever under the front wheel? A good idea but the only item long enough to use was the Forespar Telescopic Whisker Pole for the Mystery which is stored in our attic ready for next season. How did we move the 'boy toy' to gain access to the boiler? It just so happened I had in the workshop a old main sheet tackle with Ronstan ball bearing blocks. 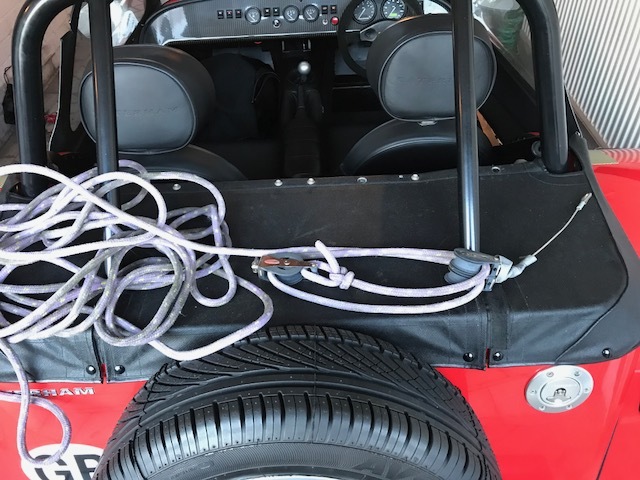 One end was attached to the roll bar through a soft shackle to avoid damaging the powder coating the other end through the towing eye on the proper car. Job done boiler fired up, Jen goes off to walk the dog. I grab the Ipad to do a final check on this week's TTT and then send it through to work, I find the images but no text. Was convinced I had written it just after being discharged from hospital last Wednesday or was it the drugs that made me think I had, yes perfect timing! At least today's 'adventure' gives me something to write about. My son-in-law Ian is driving up from Leeds with Clare and the new baby later today so as the car only weighs 540kg he can, I am sure, push it back in without too much difficulty! 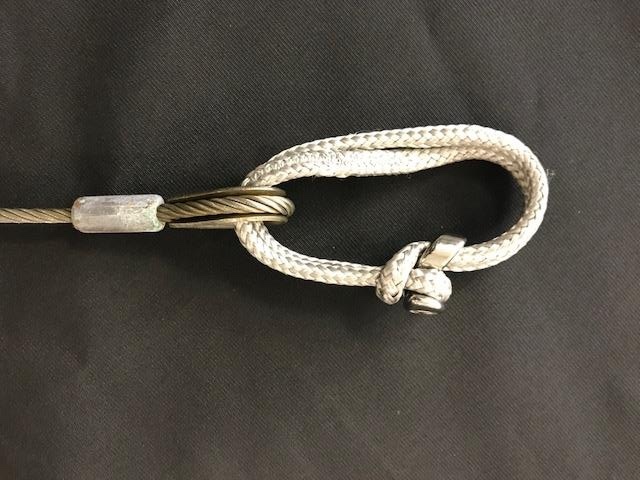 This entry was posted in General Interest, Top Tips Tuesdays and tagged Epoxy, Happy Hooking The Art Of Anchoring, Marine Diesel Basics, Splicing Modern Ropes, Soft Shackles, Syringes, Forespar Telescopic Whisker Pole, Ronstan Ball Bearing Blocks on November 28, 2017 by Rob Storrar. All being well by the time you read this, I will be either 'kicking my heels' waiting to be discharged from hospital along with my new all singing and (eventually) dancing hip or, you never know, I might already be at home not yet bored but give it time. Reading matter already awaiting my attention includes Marine Diesel Basics, Splicing Modern Ropes and Happy Hooking, books I got quite enthusiastic about the other week! However I digress. Having always considered myself to be fairly active round the boat, I hate to admit that old age is definitely catching me up and I am now finding myself just a little bit less mobile with ‘sail makers knee’, never mind my dodgy hip so maybe I should make life a little easier for myself. There is an autopilot on the Mystery which, I must confess, came in very handy on our long motor/occasional sail from Marseille to Corfu however, this autumn, when venturing out singlehanded with the tiller pilot working happily away there were a couple of occasions when I was out of the cockpit stowing fenders, hoisting the main or whatever when I thought it would be nice to easily alter course without having to get back to the control unit some fifteen feet away and dare I say it Ionian charter boat skippers do sometimes have the habit of doing the unexpected! 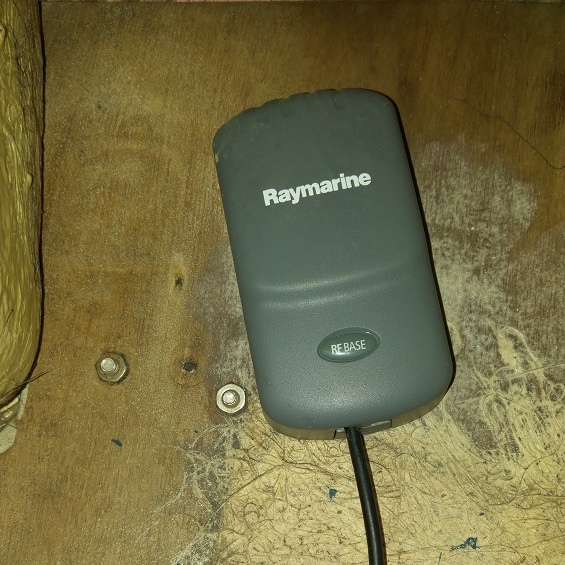 Staff member Andy Laurence purchased a Raymarine S100 Remote Control for use on his recently restored Cutlass 27 after a little incident with some piles on the banks of the river Tyne! 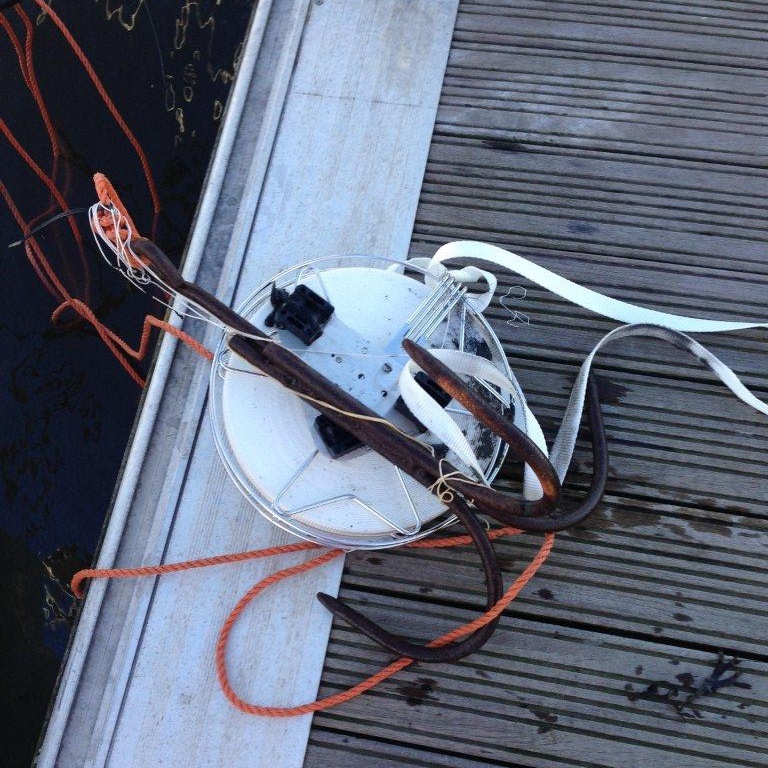 He was out single-handed and on deck removing fenders after leaving the lock at Royal Quays. Nellie Dean, his pride and joy, was on Autopilot at the time and without warning, not a command from the skipper, decided to go hard a starboard! Andy thinks if he'd had the remote slung round his neck at the time he could have avoided kissing the ironwork as the yacht had the base station already fitted (he assumes the past owner either forgot to give him remote control or kept it for his next boat). After using the remote all this season, he is a convert, so much so he talked me into buying the system for next season. 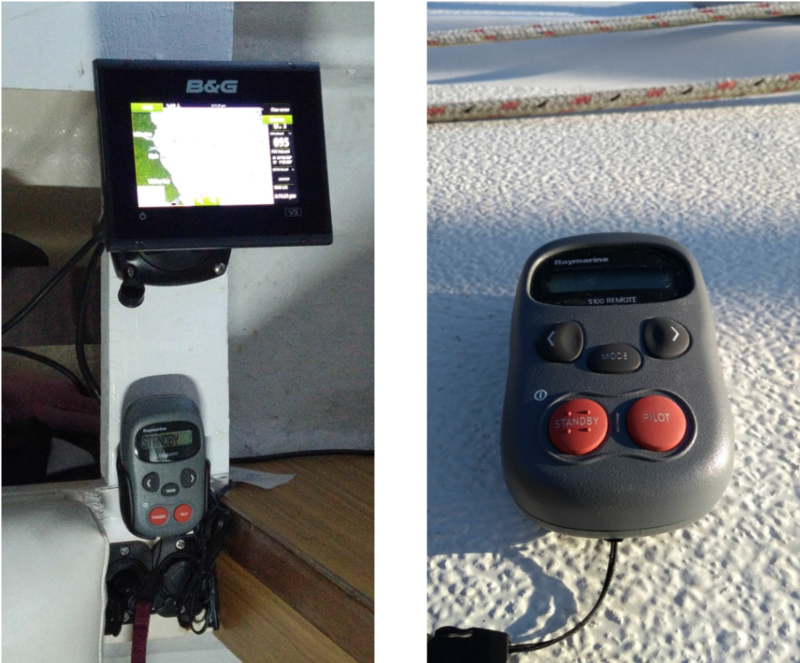 The compact Raymarine S100 Remote Control gives you basic onboard wireless control of any Raymarine SeaTalk autopilot, even if you are below deck and out of sight of your autopilot. It’s easy operation and intuitive menu structure gives easy access to all its feature (sounds perfect for someone like me who isn’t that computer literate to say the least) The Raymarine S100 wireless control is powered by two AAA batteries, displays two lines of text, displays signal strength and has an "out of range of base station" warning and of course it has a Keylock feature so that you can temporarily lock the autopilot keys to ensure that it is not accidentally operated! This entry was posted in General Interest, Products in the spotlight, Top Tips Tuesdays, Cruising, Gift Ideas, Life Onboard and tagged Autopilot, Fenders, Happy Hooking The Art Of Anchoring, Marine Diesel Basics, Splicing Modern Ropes, Tiller Pilot, Raymarine S100 Remote Control on November 21, 2017 by Rob Storrar. Mobile phones, wrench, sail maker's copper headed hammer, customer's boat keys and a Lift-the-Dot closing tool are just some of the items I have kicked or dropped overboard in my forty odd year ‘sail making/rigging ’ career; Some lost forever, some recovered either by grapnel or by using a Sea Searcher recovery magnet. My last "bit overboard" shout was earlier this year when I was fitting a Nawa stainless steel mooring reel to the pushpit of Hindsight. I had started to secure the clamps (always the hardest part as the lock nuts are easy to drop) and the backing plate and was feeling fairly pleased with myself when disaster struck and down into the briny went the reel and 32 mtrs of webbing! Fortunately there was no one around when a chain of expletives escaped from my mouth! As the reel was stainless there was no point in using a Sea Searcher magnet, which incidentally I always carry in my works van in case of operator error, with my track record you never know when it will come in handy but as for a grapnel it was a case of borrowing one from the marina office. Five minutes later over £150-00 worth of kit (excluding the fixing bracket and clamp) was back on the pontoon ready for a hose down! If you haven't got a grapnel onboard a folding anchor whilst not quite as effective may do the trick. Now Hindsight is down in Corfu we have both a Sea Searcher magnet and a grapnel on board, boat and car keys have floatation devices attached and if I manage to throw my mobile or iPad overboard they will be protected and float thanks to the Goopers! My favourite Sea Searcher story is that of Grace who was the skipper of the 70 foot James Cook sail training ketch working out of Royal Quays marina who managed to drop the boat keys overboard whilst the new crew were waiting to board! 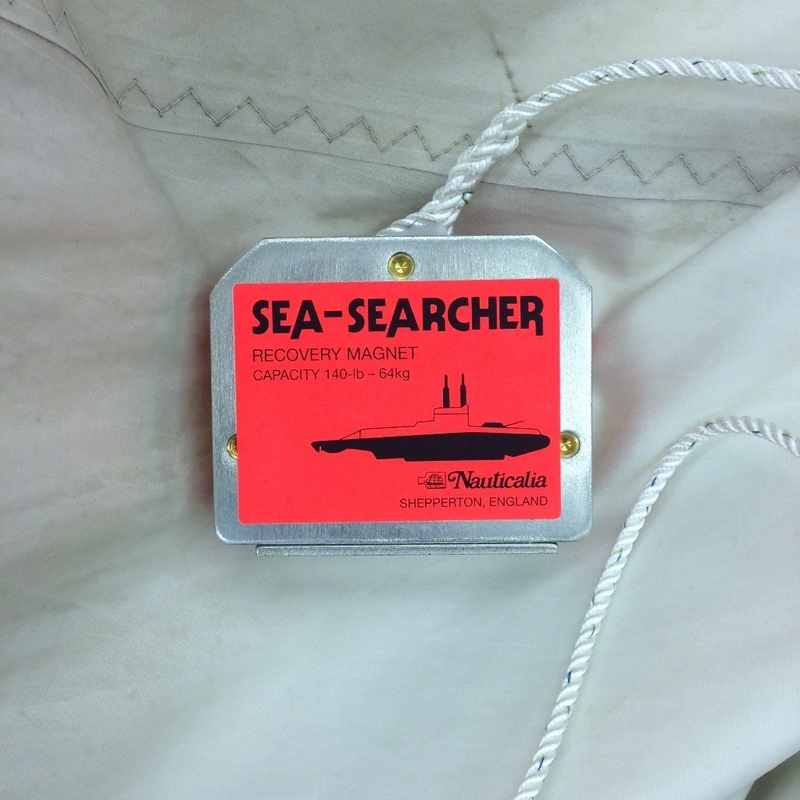 First dip with the Sea Searcher magnet brought the bunch of keys up much to the relief of Grace and no doubt her new crew! Incidentally if you do happen to drop your camera, tablet or car keys in and do recover them don't forget that a Gadget saver may save you a considerable amount of money (Andy now keeps one next to the upstairs and downstairs toilet back on his ranch) but that's another story, read about it in "Greater Lover Hath No Man". Climbing masts and using tools aloft, touch wood, I have never dropped a drill, rivet gun or whatever on the deck below. I make sure that I am using a tool saver, loop goes over the tool and the carabiner is secured to my harness, and before I start work I check that my winch buddy is back in the safety of the cockpit! 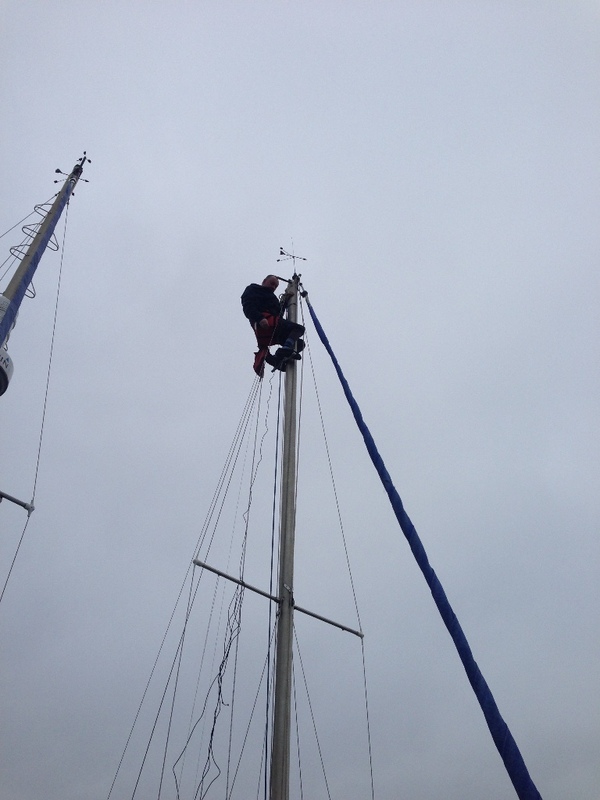 Incidentally the other Andy (our website guru) last year managed to drop his Leatherman Crunch from the top of his mast. It bounced on the gunwale, hit the edge to the pontoon finger and became unrecoverable in the depths of Royal Quays. However this inconvenience was nothing compared to his experience in Hong Kong many years ago. His colleague was up the mast of a Pilothouse Tayana 57 and the tool he dropped smashed right through one of the forward windows of the Pilothouse, and yes the air was blue! Ps Andy B, these days my boss, has just reminded me whilst checking my spelling, punctuation and grammar that my 'bits’ overboard should include in 2016 a rather nice digital camera with had a great amazing zoom, I managed to catch the padded camera bag on a guardrail when climbing aboard a Moody, put him in a bad mood for a few weeks! This entry was posted in General Interest, Top Tips Tuesdays, Repairs, Maintenance, Rigging, Crew Gear, Cruising, Gift Ideas, Life Onboard and tagged Sea Searcher Recovery Magnet, Harness, Gooper Waterproof Cases, Grapnel, Nawa Stainless Steel Mooring Reel, Folding Anchor, Floatation Keyring, Gadget, Tool Saver, Leatherman Crunch on November 14, 2017 by Rob Storrar. The MERLIN SMARTGAUGE BATTERY MONITOR (now with a two year warranty) is certainly not trickling out, it’s more like a torrent! Andy went away on his half term hols early on Sunday the 29th with a good stock of them for this time of the year and on our website over the Sunday/early Monday sold four and promptly ran out of stock! I then had to break my vow which is, when the boss is on holiday try my utmost not to contact him unless there is a real emergency. However, sometimes needs must and he gets a text, which went, "need to order another ten Merlin SmartGauges!" Well as I start this blog, being Saturday the 4th and, dare I mention it, my day off, it looks like he will be ordering another batch of ten in the very near future. 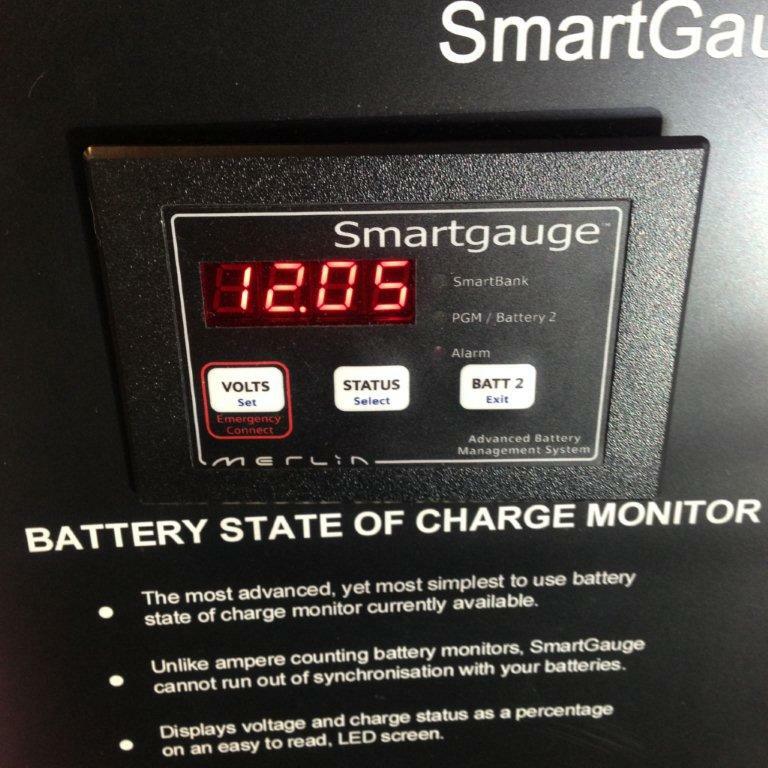 SmartGauge represents a totally new approach to monitoring the state of charge of deep cycle batteries. The most common type of meter used for this purpose is an amp hours counter which basically adds up the current going into a battery and subtracts the current coming out to give a representation of the state of charge of your batteries. The SmartGauge works on a different principle. The final result is a battery state of charge meter that is much simpler to install, simpler to set up, simpler to understand and yet gives a meter that actually does a far better job of telling you the state of charge of your batteries. 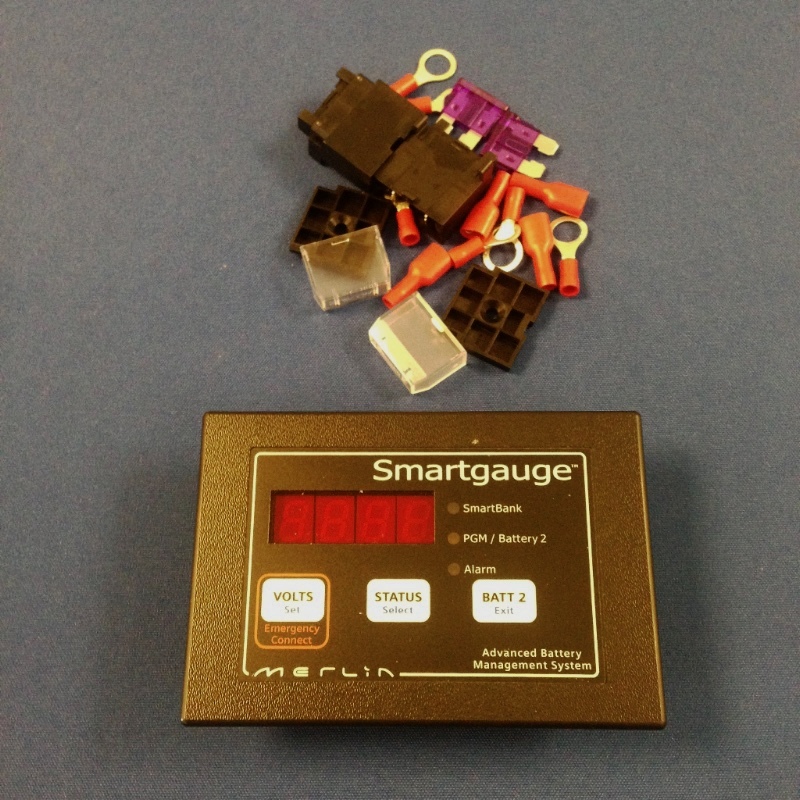 SmartGauge uses computer models of different types of lead acid, deep cycle batteries. This model is then used by an algorithm in SmartGauge to calculate the state of charge. The algorithm continually calculates results and some of these results are fed back into future calculations giving an ever changing, and self correcting, result. The result is that SmartGauge cannot run out of synchronisation with the batteries and successfully manages to track the battery capacity as they age and lose capacity, which is the biggest problem with the amp hour counters and the main reason they make such a poor job of tracking the state of charge of batteries over time. Installation is incredibly simple. 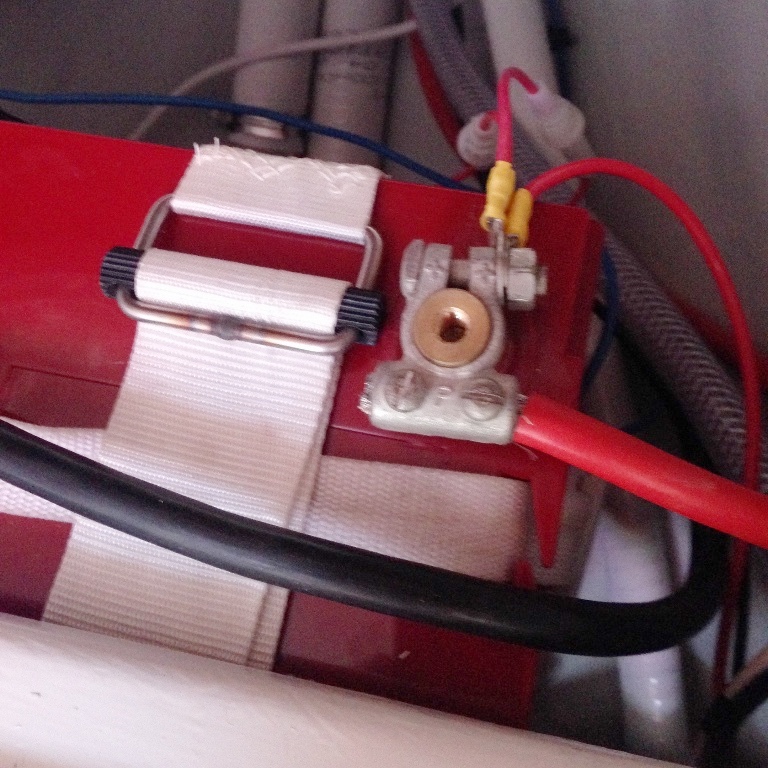 To monitor a single battery bank only 2 light duty cables to the battery are required, or 3 light duty cable if the voltage of a 2nd battery is to be monitored as well. It benefits from automatic self-setup and adjustment, is suitable for both 12V and 24V systems and its shuntless design retains factory warranties. So what are you waiting for treat yourself and your boat now, don’t wait till Christmas! 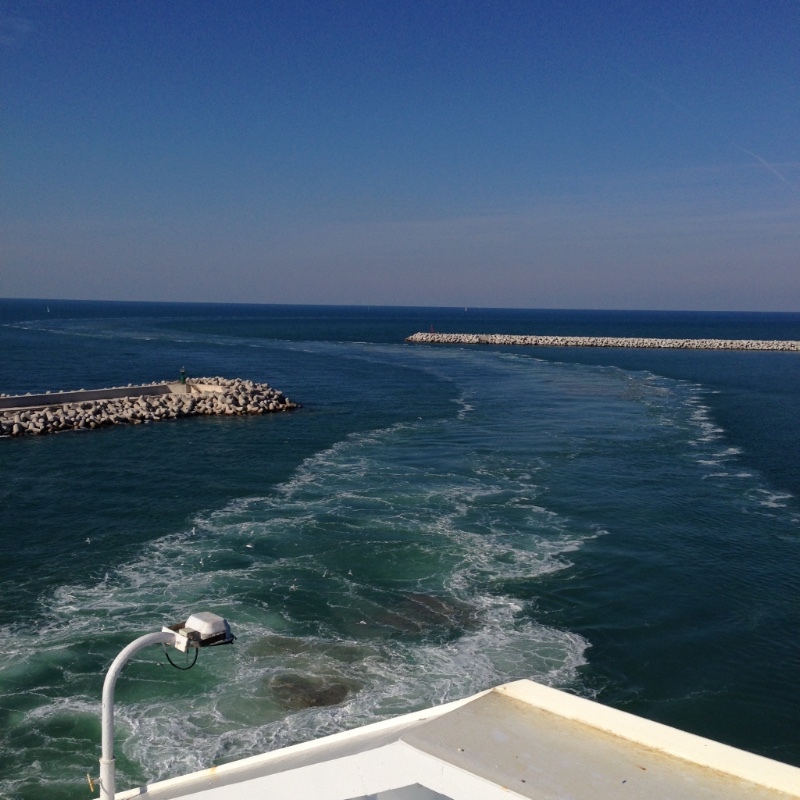 This entry was posted in General Interest, Products in the spotlight, Top Tips Tuesdays, Maintenance, Cruising, Life Onboard and tagged Merlin Smartgauge Battery Monitor, Battery Life, Monitor on November 7, 2017 by Rob Storrar.